Shopping for a new car is an exciting experience, but sometimes our customers feel a little caught off guard when it comes time for the various financial obligations associated to owning their new Honda Accord, Civic, or CR-V. The good news is that if this has happened to you in the past, you can learn from it by researching the cost of ownership for your next new car, truck, or SUV. The good news is that we’ve done all the work for you so you can take all the various costs into account before you sign the papers. – Maintenance, i.e.. oil changes, brake repairs, tire rotations, etc. Knowing before you buy can help you prepare for any scenario, and we encourage you to take a look at the Honda Accord Cost of Ownership information we have put together. 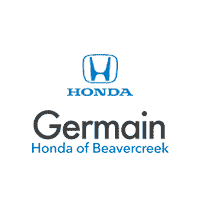 While this is designed specifically for one of your favorite models, these factors can apply to other new Honda models. Questions? Let us know, and we’ll help you find the answers.